We love this session! 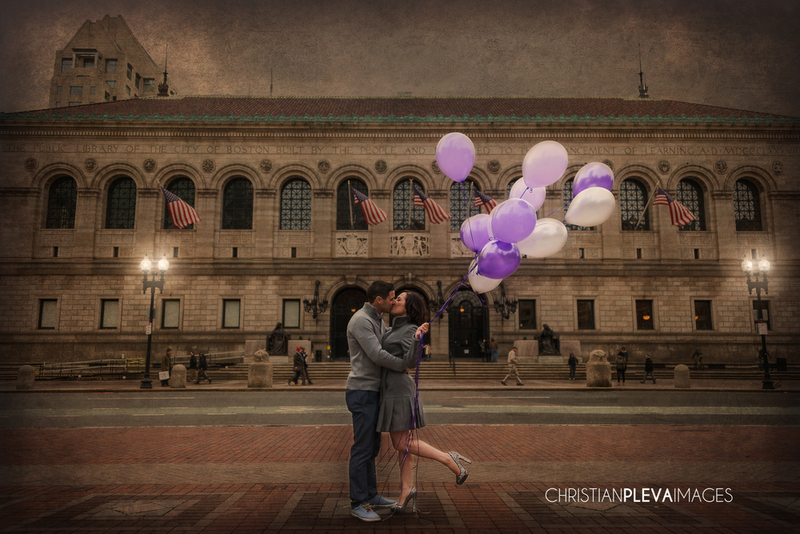 Even though it was a cold and windy day and we nearly got kicked out of the Boston Public Library....it all ended up being a great session! Ella and Marty met at an Irish pub, while Ella was visiting Boston. After leaving the pub, she regretted not getting Marty's number. So her and her friend went back the next night, and although he wasn't there, his friend was! He called Marty and he came down to meet them! The rest is history, four months later Ella had moved to Boston. We are so excited to work with them on their State Room wedding next August, having as much fun as we did on this session!